This Joma Jewellery bracelet is presented on a gift card that reads 'This little bracelet is just to say will you be my maid of honour on my special day'. The most special way to ask that special someone to be a very important part of your big day! 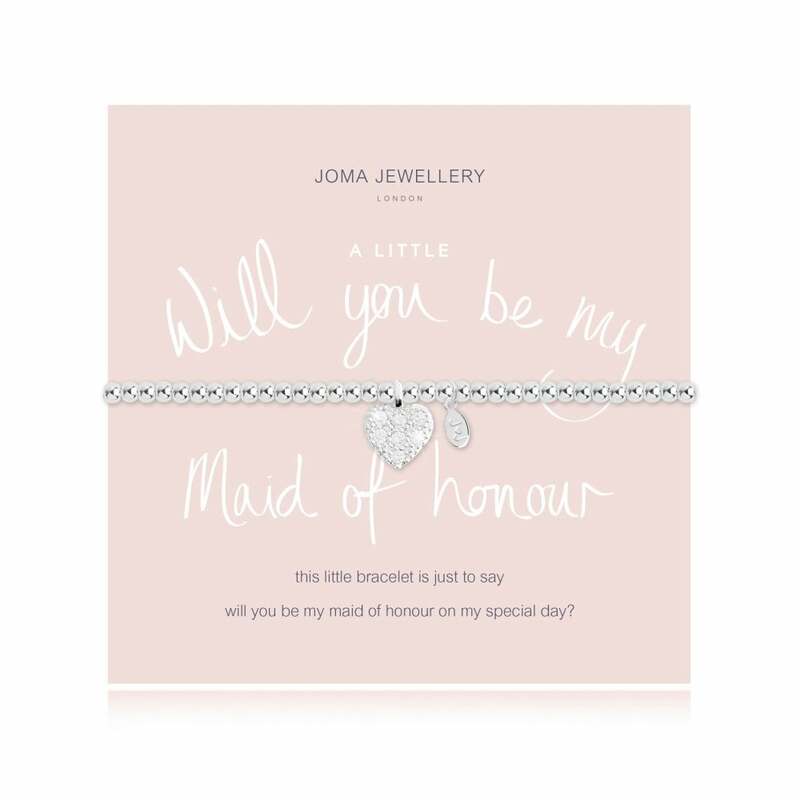 Amongst the glistening silver beads of this A Little Will You Be My Maid of Honour bracelet from Joma Jewellery is a beautiful silver heart covered in tiny little crystals. Whether used as an accessory for the day itself or worn as a neutral everyday piece, this bracelet will always remain special Please keep your item dry at all times and away from perfume and body creams in order to preserve any plating and to ensure your piece lives a long and beautiful life.